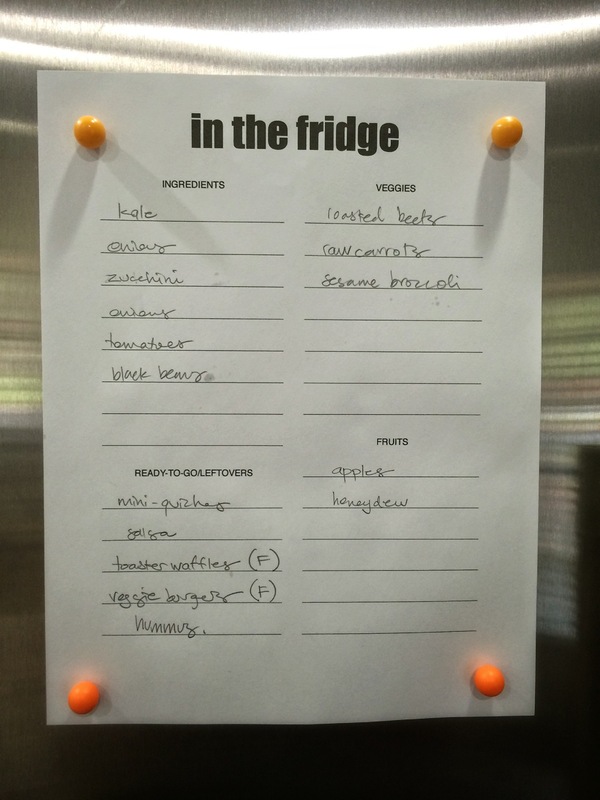 We are trying out a new list on the refrigerator door this week. My hope is that it will make it easier to decipher what food options are available inside the doors in the morning when we are all pointing in different directions. I am assuming that there will be some changes as we work our way through the list this week, but here’s a PDF of it just in case you want to give it a whirl along with me. thanks! we met briefly at the last food swap!